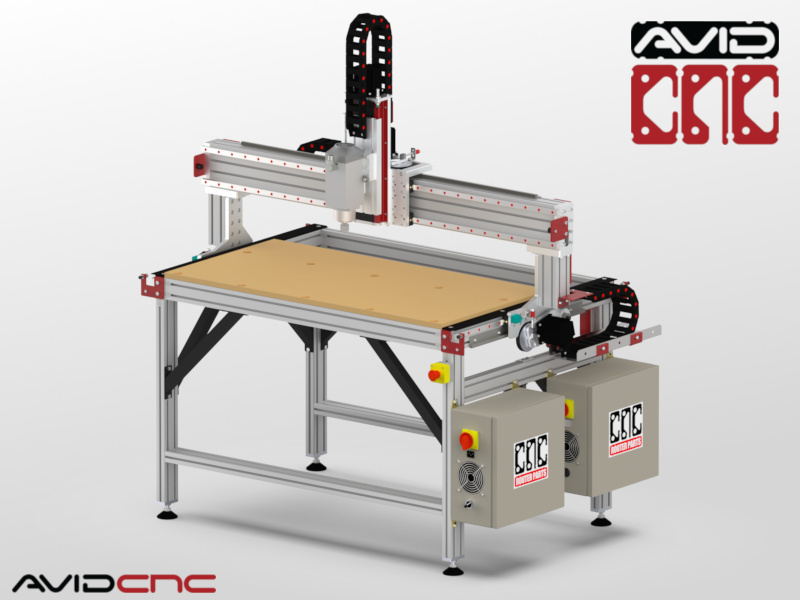 The PRO4824 CNC machine kit features a space-saving design for those with a smaller shop that allows it to double as a workbench when not in use (just park the gantry against the wall). 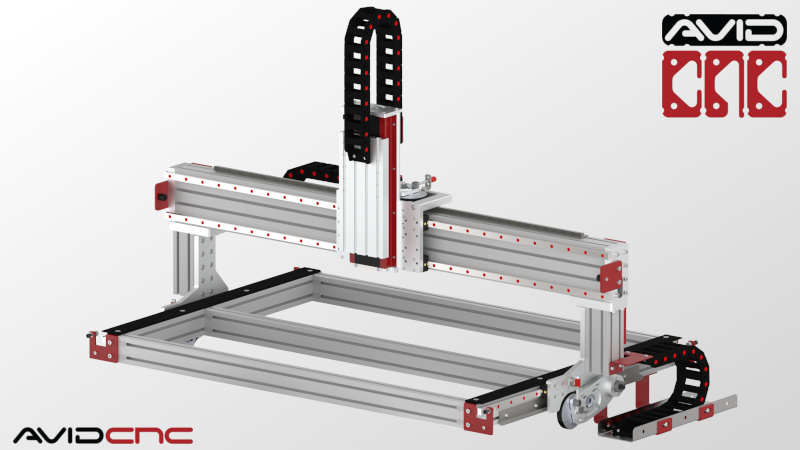 The PRO4824 features Profile Linear Guide Rails, our PRO Rack and Pinion drives on the X and Y axes, and Ballscrew Z Axis, offering higher speeds, greatly improved ease of assembly and machine tuning, and greater stiffness and spindle capacity than our Standard CNC machine kits. It is designed to easily expand to a larger machine in the future simply by adding more framework, gear rack and linear rail. We provide separate options for Z-Axis Travel and Gantry Height. Increasing the gantry height will negatively impact machine stiffness. If you plan to cut mostly sheet goods or harder materials, we do not recommend increasing the gantry height. If you require increased Z-Axis Travel, this can be accomplished without raising the gantry with our 12" Ballscrew Z-axis and standard 8" Gantry Height by recessing your work-piece in the table, or off the front of your machine (select the 12" / 8" option below for this configuration). We offer an extended gantry width option for dual Z-Axis machine configurations. An extended gantry provides the ability to add a second Z-Axis (now or in the future) and maintain access to the full machine work-area for both tools. Configured with optional Leg Kit (PRO CNC), Plug and Play CNC Control System, and 2.2 kW Spindle / VFD System. Spoil Board shown can be made from plans in our Design and Make Project Series. Please note that all of our PRO CNC machines feature a dual-driven gantry and require a 4-axis electronics package. Our 2.2 kW Plug and Play Spindle / VFD System production-level cutting solution that offers a significant capability upgrade over a standard router by providing a consistent 3 HP of cutting power across a wide RPM range, allowing for faster and deeper cuts. PRO4824 Assembly Instructions provide a full step-by-step guide for building your PRO CNC Machine. This product was added to our catalog on June 6, 2013.